Factory Sealed CS 6734 with the super rare Pioneer spacecraft booklet inside the shrink! There’s a very good chance this is the last such copy on the planet. I have never seen one before, and I remember when this record came out, so probably few were made with this special booklet included. I’m guessing it has about a dozen pages or so, and probably talks about the Pioneer mission to Jupiter. Posted in Labels We Love - Decca/London, Miscellany and tagged audiophile vinyl, Better Records, Hot Stampers, tom port on June 30, 2018 by humorem. For those of you who’ve never chanced upon it, here is the ‘live’ version of the album in five parts. 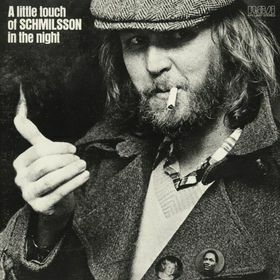 Posted in Genre - Vocals - Male, Miscellany, Top Arrangers - Gordon Jenkins, Top Artists - Harry Nilsson, Videos and tagged Harry Nilsson on May 26, 2018 by humorem. Letter of the Week! No, I Take That Back – It’s the Letter of the Week!!!! WHERE DO YOU GET THESE PRICES.!!!!!!!! Talk about overcharging customers…..
I’ve been collecting vinyl for over 35 years… Have Never seen such ridiculous pricing…!! Yes, we admit it, we are more expensive than Elusive Disc. But their records don’t sound good. Shouldn’t that count for something? Here are some of the most expensive records we have in stock at the moment. Posted in Miscellany, We Get Letters on May 11, 2018 by humorem. I made the mistake of buying both Back in Black and Sticky Fingers on CD for my car, and both are a disaster — no bass, no rock weight, with boosted upper mids, no doubt a misguided attempt to provide “clarity”. I couldn’t get three songs into either of them. If this is what the digital lovers of the world think those albums actually sound like, they are living in some kind of parallel universe. The best pressings on vinyl sound nothing like them. In fact the best pressings sound so good they are on our Top 100. Rest assured that you don’t get to be on our Top 100 with anemic, upper midrangy sound. Posted in Digital - Compact Discs & Digital Recordings, Miscellany, Our Top 100 Rock and Pop List and tagged audiophile vinyl, Better Records, hot stamper vinyl, Hot Stampers, hot stampers vinyl, tom port on May 15, 2017 by humorem.